Today I want to tell you about my favourite hobby - collecting pats. I have a wonderful collection of pats, and I'm very good at acquiring them, too! For example, here are all the pats I collected just today! And a very good morning to you, too! A bit more to the left, please! 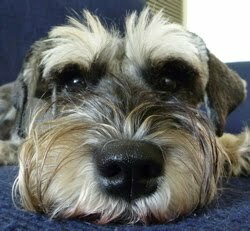 Hello - I know my Schnauzer friend Spinner doesn't mind if you pat me! Sure I'll shake paws, just keep patting! Oooh, is there patting happening over there? Er, you're patting me, not the Italian Greyhound behind you! What do you mean, no more pats? Hmmm... is Spinner getting pats over there? I think he is, but now I'm getting a chin scratch. Oh, go on, you know you want to! Look Penny, this is how you get pats. That's right Penny, but you need to get in a little closer, like this. Ah, yes. You smell nice, too. Er, excuse me! Down here! Look how cute I am! You want to pat me! I think the pats are starting to dry up - even Spinner's having to search them out. My human wants me to mention that she does actually tell me off for jumping up, but firstly, I don't really jump, I just kind of stand up on my back legs with my cutest look, then extend my paw in gentle benediction. 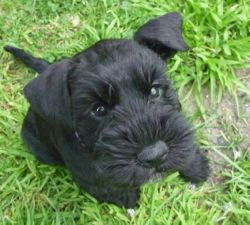 And secondly, all the humans say "Oh, I don't mind, she's sooooo cute, come on, up-up!" Naturally, I prefer to listen to them - it's all about pleasing my audience, after all - and I get more pats that way! Oh Sasha, you are really good at collecting pats! Now we've learned something and we're going to try it out. you must have the biggest collection of pats! That's amazing! How DARE they not pat you.....you are gorgeous Sasha. 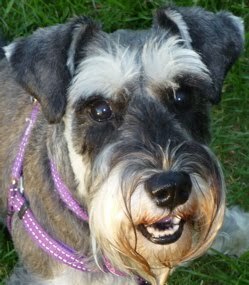 I'm so happy that you have lots of schnauzer friends, one can never have enough! Tail Wuggles, Rubie. Oh that is indeed a FINE collection of pats, MUCH better than the paltry collection we've got - sigh!! We obviously need to work on our technique, he he he! We are most impressed with you - but not surprised. Who wouldn't want to pat a gorgeous gal like you? 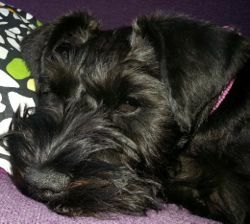 Penny is super-cute - she's so lucky to have such a learned and beautiful teacher as yourself, she will be wise in the ways of the schnauzer in no time! What a very good thing to collect & you know just the place to find them. We love pats too, you can never have too much ! That is one big collection! If I looked like you, I would probably get at least as many pats as you!!! I love that you have a full tail!! !